The relentless downpours that have affected the area throughout the week were forecast to continue on Wednesday night. 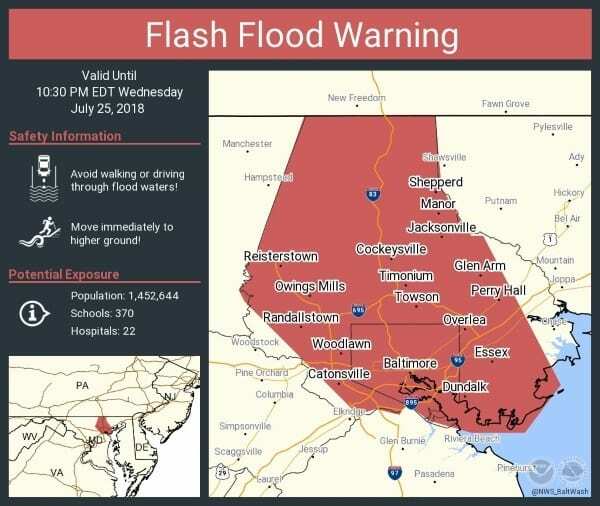 The National Weather Service has issued a Flash Flood Warning for much of Baltimore County. A Flash Flood Warning indicates that flooding is now occurring or is imminent. The NWS warns that some local creeks and rivers have risen 4 to 7 feet within the span of one hour. 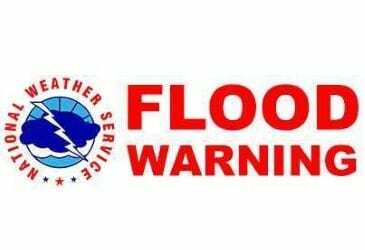 Some locations that may experience flooding include Middle River, Essex, Parkville, Carney, White Marsh, Kingsville, Nottingham, Joppa, Rosedale, and Perry Hall. Motorists should use extreme caution and avoid attempting to pass through rapidly moving, standing water.